OSCE spots asked in DNB Pediatrics practical examination held in May 2016 based on recall. 1. Newborn screening have shown TSH >100 of a new born. Counsel the mother. 2. 5 yrs male child with c/o late night awakening and sleep related issues, Counsel the mother. 3. 2 yr old male, c/o Pneummonia, requiring ventilation and IPCU admission, Counsel the mother. 4. 12 yr old male with c/o chest pain. Obtain relevant history. 5. 8 yr old male child.do inspection , palpation and percussion of respiratory system. 6. NRP scenario. Meconium stained liquor, do as per 2015 guidelines. 7. Neonate with meningococcal rash all over body. C. What endocrine emergency can precipitate? D. What are possible neurological complications? 8. 4 videos were given. Identify and 1 example. D. Respiratory distress with stridor. 9. 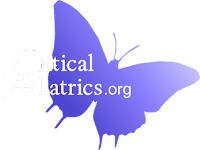 Infant with sev dehydration with acidotic breathing? B. What can be cause? C. 3 other conditionds causing this? D. Initial fluids of choice of initial resuscitation of this child? A. Ventricular tachycardia. Child had consumed unknown tablets. HR- 120, suger- 100 BP- 90/60.Midriasis. Identify poision? Drug of choice? B. Asystole. Child with pneumonia in PICU on ventilator. Nurse gave urgent call in view of this ECG. Identify rhythm? Enumerate 6 causes of cardiac arrest? C. Causes of early exfoliation? D. Eruption schedule of secoundary 3 molars? A. What is switch date? C. Dose and site of intradermal? D. 2 states giving intradermal? E. How long opened vial of IPV can be stored? 13. AEFI: Classify given scenarios into AEFI categories? Identify the definitions from given scenario.? 15. Classify given Cephalosporins into 1 st or 2nd/ 3rd/ 4th/ 5th generation. Total 10 were given. 16. Match the given EEG, total 4 were given. Centrotemporal spikes, myoclonic seizure, periodic discharge, diffuse cerebral epileptiform discharge. 17. Match the maternal drug intake-side effects on fetus. Total 8. Classify drugs given to lactating mother in these categories as Safe/caution/Avoid. 18. Poisoning scenario. Overconsumption of thyroxin tablets. C. How early and how late signs can develop? 19. 11 yrs old girl with initial non specific symptoms of behavioral abnormality, develop fever f/b status epilepticus. CSF- 100 lymphocyte. Genexpert- negative. Usg abdominal show mass in Rt. Ovary. MRI showed non specific changes in cortical and subcortical areas. B. What should be the further work up? C. what is the investigation of choice? 20. 15 yr old female with SMR stage 1 with high LH, FSH, 17-OHP, low estrogen. 21. Fill in the gaps in table. With Increased/decreased/variable in table of Hypocalcemia. Columns-ca, ionic ca, phosphate, PTH, Vit D and rows were having reasons for it. Vit d deficiency, fanconis etc. 22. Write diagnosis of each conditions in tables-for hypoglycaemia like ketotic, nonketotic GHD fasting GSD. C. Imp significant clinical history? 24. Peripheral smear showing acanthocytes. Abetalipoproteinemia scenario. 5 yr female with FTT and recurrent pneumonias and fouls smelling frothy stools. Serum lipids low. Nasal potential diff-n, celiac screening negative. 25. Pic of microcephaly in newborn. A. Recent viral infection causing this? C. Transmission in adults and children? D. Symptoms other than fever?